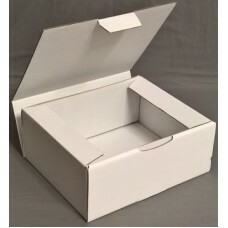 Handy sized postal boxes are ideal for sending items by post. Made with a tuck lock flap for secure closure, in a wide range of sizes. Custom sizes can be made to order, plain or with your own personal logo.